One major thing I imbibed in the Landmark curriculum for education was the power of the word. We call it integrity. we often forget how powerful our words are and when we make promises it is up to us to make sure we keep our words sacred. We very often make commitments, promises we may or may not honour. I noticed as I practised the Landmark curriculum for living, and started valuing my word, things shifted for me. Those who keep their promises are regarded as people of integrity while those who at best are not taken seriously and at worst not trusted. Often we forget how powerful our words are, and are quite careless in tossing them haphazardly or unconsciously creating expectations that are never fulfilled, leaving disappointment and distrust in our wake..
Maybe there are promises we have made to ourselves that we do not remember because they have slipped into our conscious. An early heartache may be followed by a promise never to trust love again, and we start wondering why is that our love life is so pathetic!! One interesting case we had when we dealt with a person who had blocked earning potentials . the person when regressed into past life was honouring a vow of poverty taken in a lifetime where he was a monk. How does one really deal with a promise we no longer wish to beholden to? We could ritually request to be released from the bond, this would help us clear ourselves of outmoded connections and patterns, returning ourselves to a clean slate. Then we can resolve to remember that our word is sacred and to be conscious of any promises we make to ourselves or to others. There was this person who despite owning a construction company somehow could not hold on to a house of her own, she always lived in a rented apartment. 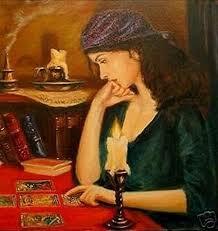 I laid out the fable cards for her, and what emerged was broken promise. What I could do for her was to request her to write out all the promises she made so far that she could remember, and those that were made to her and we would take on from there. she came called me up in about 6hrs and she was crying it was catharsis, the exercise had made her look at some aspects of her relationship with her mother. More importantly she had to deal with promises she had not kept. The next step was, the healing and now three months later she has bought her flat. The first step to healing was to ask to be released from any promise made to ourselves or others in our past, present or future life. They could hold us back from fulfilling our greatest good. we could ask for love, light and healing to be sent to any soul that has suffered from our inability to be true to word, including ourselves, we can ask for the wisdom to do our best from this point forward to be true to our word, promising only what we truly intend to deliver. The resulting energy will clear conscience and liberated energy will illustrate this truth. We are only as good as our word. where are you based from, and how do I contact you? I can direct you to the nearest landmark. Previous PostPrevious Awrite thaur october.